Winner of the 2013 Spinfuel Choice Award! When this e-liquid premiered at VapeBash, it completely sold out in a couple of hours. 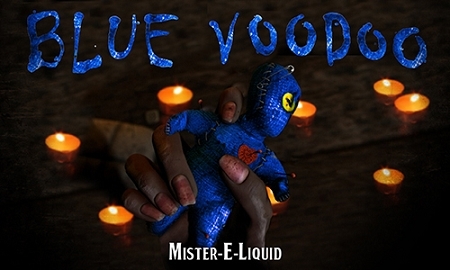 Now let this incredible blue raspberry e-liquid work its magic on you! Try it and you'll taste that there's more going on here than a simple blue raspberry: we've petitioned a voodoo priestess and been granted a mystery of a flavor, something that perfectly offsets the tart raspberry with a magical hint of sweetness. Try some with your favorite blue raspberry slush and you'll be a believer!